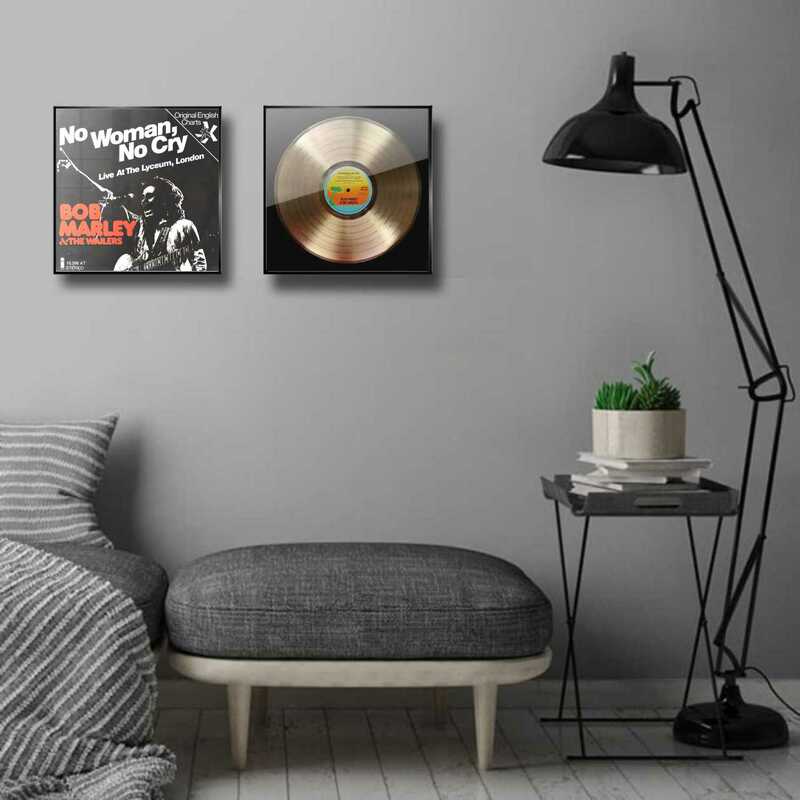 Gold plated framed BOB MARLEY vinyl record. 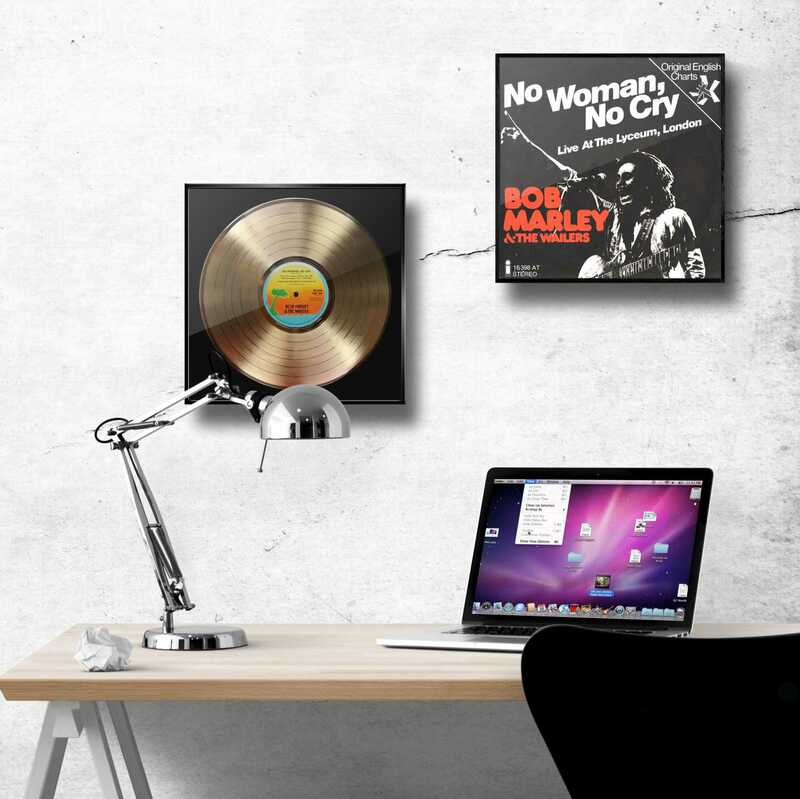 Make or make yourself a great gift with our metallized framed record from the KING of RAGGAE. 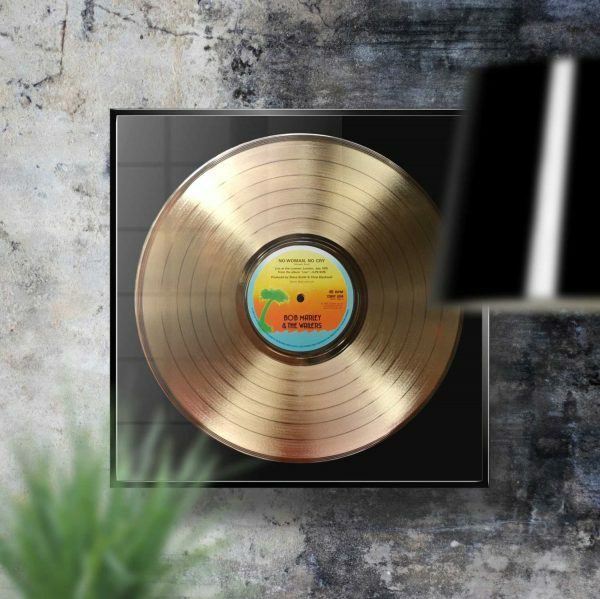 Finally your chance to own a framed gold vinyl plated vinyl record! A commemorative display of your favorite musical artist. Each record has a bright mirror-like finish that is a real eye catcher. 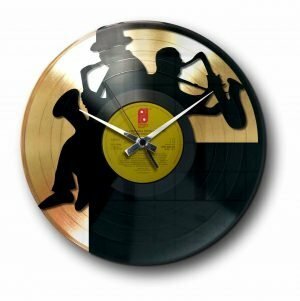 When you walk into a room you can’t overseen one of these on the wall. These one-of-a-kind displays produced from a multi-step electroplating process. Not sprayed, painted or dipped. 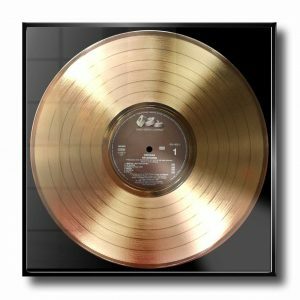 Same as real record awards are made. 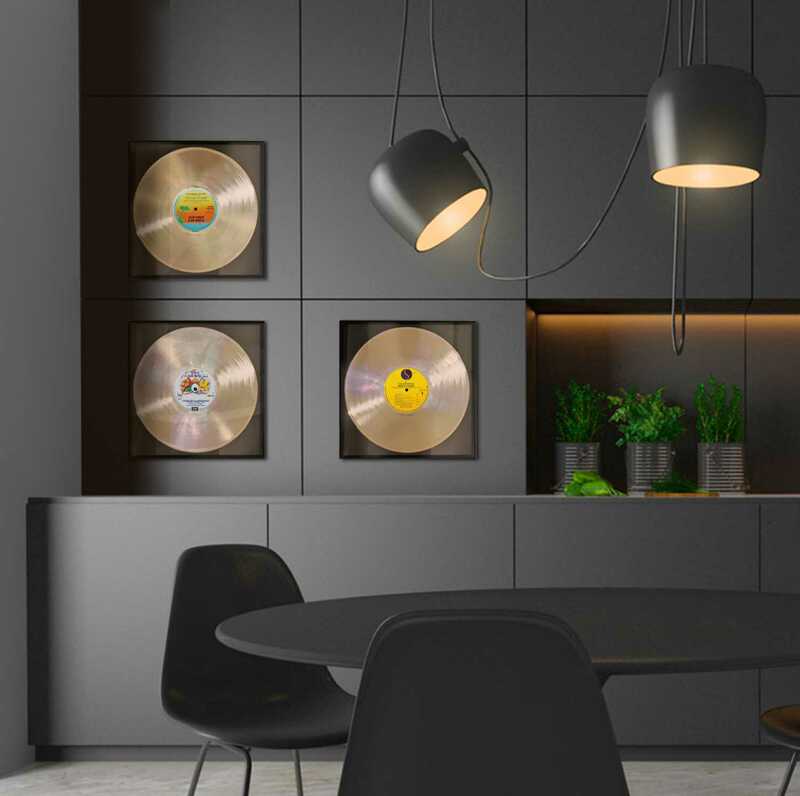 All the records are vintage materials purchased on the open market and produced as a collectible. 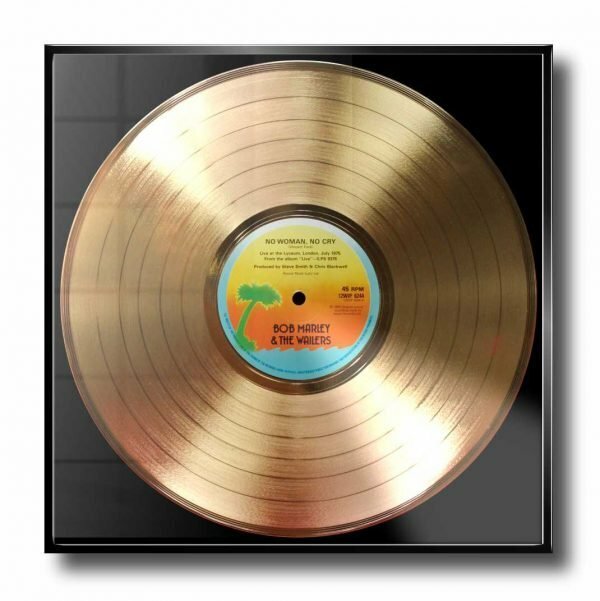 The protective varnishing guarantees that the record will never fade, corrode or tarnish. Looking for a BOB MARLEY clock? Check it our here! Still haven’t found what you were looking for? 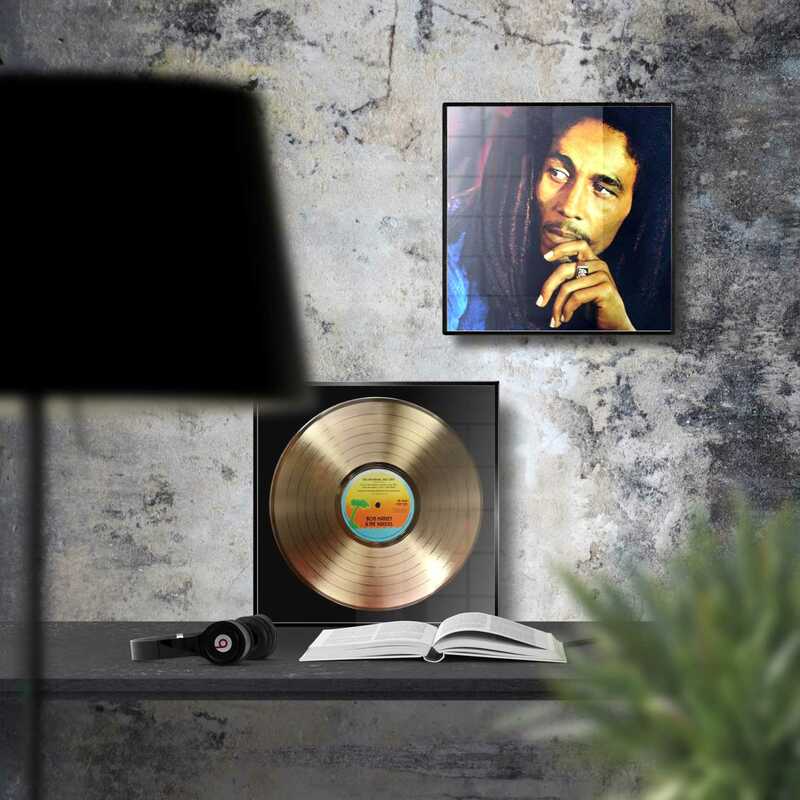 Check out our facebook page and get inspired!